SFW123GDF Digital Fire/Water Safe is rated 4.8 out of 5 by 4. 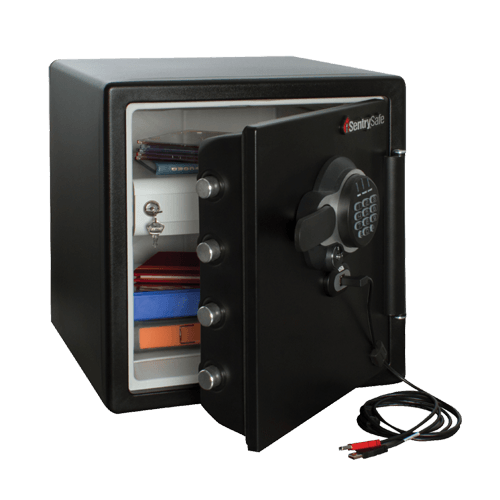 Keep your important documents and hard drives protected with the SentrySafe SFW123GDF. 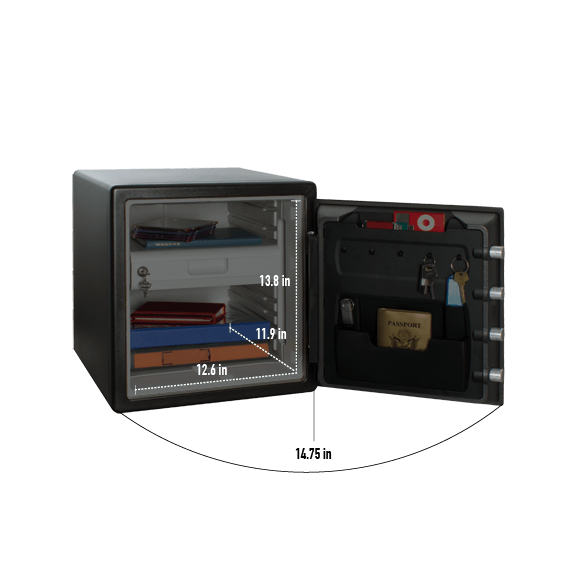 This safe offers UL Classified fire protection and ETL Verified fire and water protection and dual locking for added security. Rated 5 out of 5 by Gloria2 from Very good quality We just got it and are so far very we are impressed with the features and levels of security. Rated 4 out of 5 by dvosburg from A Protective Safe After a break-in we wanted a safe that is protective of our important documents and valuables and could not be easily transported. Hence we very much like the bolt down feature as well as fire and water protection. Rated 5 out of 5 by GNATLeader from great safe good to have peace of mind! i has a very curious and rather touchey family so i got this safe to protect mah stuff from grubby fingers touchin em easy and fast to use im addicted to opening and closing it. Rated 5 out of 5 by MonaS from Strong and Secure safe The size is perfect for what we need it for. The set up is pretty strait forward.